with The Most Magical Tales of Leh Ladakh! A cult among the wanderlusts or the ‘Mecca’ for the thrill seekers, Leh-Ladakh is the destination that can tempt anyone to ditch the rest of the world! Seated high in the lap of the Indian Himalayas, a trip to this paradise is an experience of one of its own kind, and can satiate all your cravings for adrenaline rush. Why to visit? When to visit? How to plan an amazing and memorable tour? What and how to pack while embarking on a tour? How to get acclimatised with climate? What are the places while on a Leh Ladakh tour? What are the most exciting and adventurous things to do in Leh Ladakh? How to reach? Find all your answers with us. Call us or drop us a mail to know every minute details about Leh Ladakh tourism. Consult with our travel guides and experts to know more about how to design an ideal Leh Ladakh tour. Get all travel assistance within one click! We are one the leading Leh Ladakh tourism company in India which is offering best in class Tour and Holiday Packages for your family and friends. The company not only offers Leh Travel Packages at economical rates but also provide complete assistance in travel. The fully trained and highly experienced team of the company works dedicatedly to make your journey a pleasant experience and making it as easier and safer, as possible. If you want to pamper your friends and family with an unforgettable experience, please get in touch. We will customize your Tour Packages in way that allows you to make the most out of the tour and cover everything which is worth seeing. We arrange leh tour packages from all major cities in India including Ahmedabad, Mumbai, Kolkata, Pune, Hyderabad, Delhi & Bangalore. We also have special packages for foreign tourists. 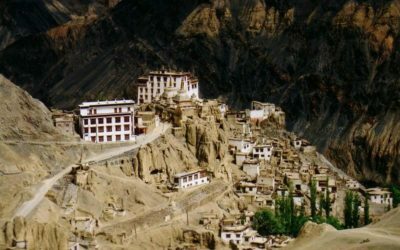 How to Plan the Best Budget-Friendly Leh-Ladakh Tour Packages? Perched at an astounding height of 3,000+m in the lap of the Indian Himalayas, reaching Ladakh can get a bit difficult at times. Adding more to this, there is always the extreme climatic condition that can make your trip even trickier. Keeping all these in mind, you should always plan your Leh-Ladakh tour package well in advance. Check out the hacks below to know more about how to plan the best budget-friendly Leh-Ladakh tour packages. Located at around 3,256m above the sea level, the Kushok Bakula Rimpochee Airport in Leh, serves as the only airport in Ladakh. Owing to the location of the airport, flights usually take-off from here or land only during the morning. 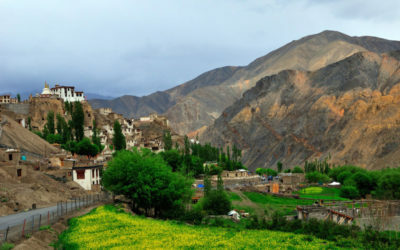 Also, since the number of airlines operating flights to Ladakh are quite few, visitors must keep a close eye and try to book their air tickets at least six months prior to their travel date. Visitors can book flight to Leh from cities like Delhi, Jammu, Srinagar, and Chandigarh. Usually, Air India, Jet Airways, GoAir, and Air Vistara are the airlines that operated to and fro flights. To note here, a one-way air ticket in your Leh-Ladakh tour packages can cost around INR 16,000 during the usual seasons. On the other hand, if you happen to book tickets during the peak season, you might have to spend around INR 25,000 for one-way. However, with us, you can always book the cheapest or most affordable flight tickets and add more to your Leh-Ladakh tour. We also offer fixed departures to Ladakh; by booking our fixed departure Leh-Ladakh tour packages, you can always bring down your travel cost to the ‘Land of High Passes’. In case, air-tickets sound too expensive while planning a Leh-Ladakh tour, you can always visit this paradise by route planning. This will not only cut down your travel cost, but will also allow you to enjoy the magical beauty of the vicinity while driving through the meandering trails and picturesque valleys. There are several options of route planning and curate the most amazing Leh-Ladakh tour packages. 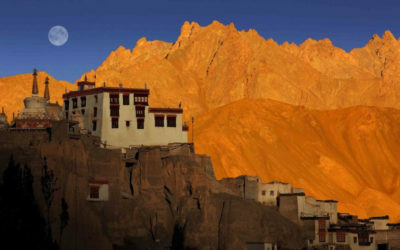 Cost-sharing is one of the convenient ways to reduce the cost of Leh-Ladakh tour packages. You can start sharing the cost while driving to Leh, opting for sharing stay options, or booking the entire Ladakh tour in a group. While doing so, you save a lot on your trip, and would also get to mingle with co-travellers of different origin or from varied geographic locations. We have our own fleet of jeeps and other 4×4 vehicles that are ideal for driving through the rugged trails of Ladakh. Whether from Delhi, Chandigarh, Manali, or Srinagar, you can always book your Ladakh tour with us, and enjoy amazing discounts and offers on the tour. Leh ladakh Tourism is one of the most trusted and leading Ladakh tour operators in the country. With years of experience and an array of Leh-Ladakh tour packages, we also offer a wide range of value for money hotels in Leh-Ladakh region. By booking your stay with us, you will be assured with multiple discounts even in the peak seasons. Most of our Ladakh tour packages also include experienced guides, local instructors, selective meals, and several other add-ons. Booking your tour with us, you not only get to cut down the cost of your Leh-Ladakh tour, but also get to enjoy the tour like a local! Where is the Ladakh region located? A: The gorgeous Ladakh Valley is in the upper Indus Valley in India’s Jammu and Kashmir state. Is this region worth of a visit? A: Well, though the answer depends on what you are looking for from your vacation, you will surely miss out a piece of paradise if in case you don’t plan a Ladakh trip at least once in your life. 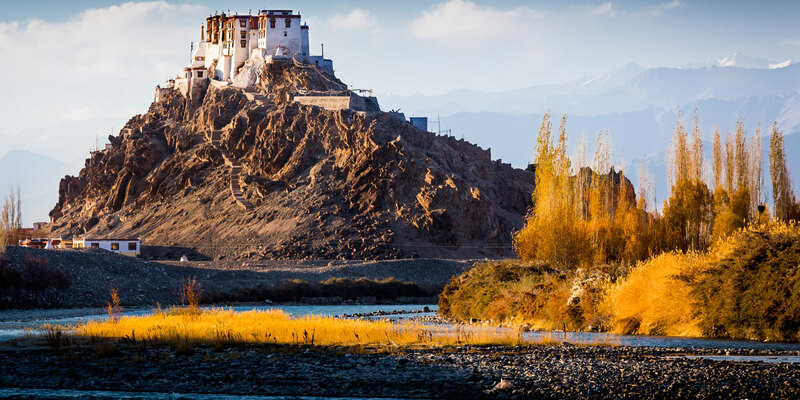 What is the best time to visit Ladakh? A: If you want to enjoy the best of your vacation, you must book Ladakh tour packages between the period of June to October. How high is Ladakh from the sea level? A: This part of heaven is perched at as astounding height of 3,000m+ above the sea level. Owing to its soaring height, it is fondly called the ‘Land of High Passes’. How about the oxygen level in Ladakh? Is it safe for visitors? A: As already said, the Ladakh Valley is situated above 3,000m or 9,800ft, you might not have any issues. However, once you gain a height of more than 10,000ft, you might experience lack of oxygen. For any visitors to Ladakh, getting acclimatised is always advisable. Does this region have proper lodging or stay options? A: Yes! Like any other tourist destinations in India, Ladakh also boasts of its excellent and warm stay options. Most of the hotels in here, are divided into A, B, C, and D categories. A-category can be compared to a usual 3-star rated hotel, and so on. In addition to the hotels, Ladakh is also known for some of the best homestay options in the entire world. In fact, homestays have always been the most sought after stay options for the visitors on a Ladakh tour. What would be minimum time frame for an ideal Ladakh tour? A: This part of the country is often revered as a mystery box; each day spent here will bring you something new! However, if you really have time constrains, you can book Ladakh tour packages and enjoy an ideal vacation within 15 days. 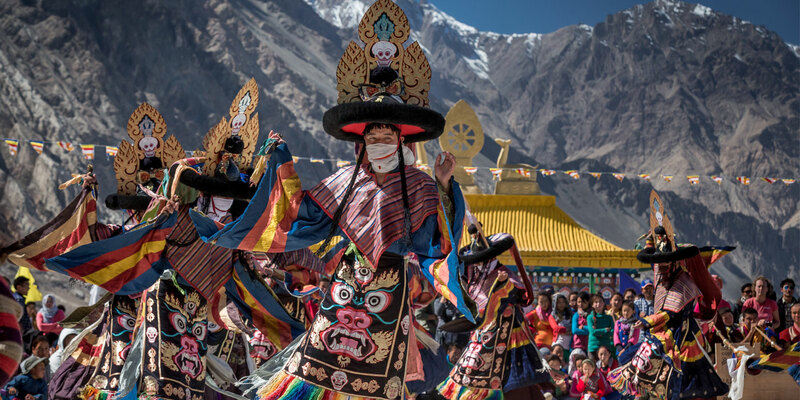 Does one need special clothing while on a Ladakh tour? 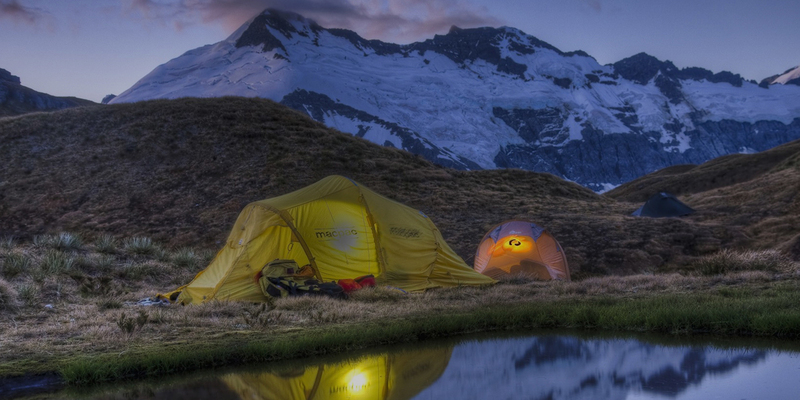 A: Owing to the high altitude, Ladakh enjoys a cool ambience almost throughout the year. Though summer can bring in a fair amount of warmth, winters can get extreme cold. For anyone booking Ladakh tour packages, heavy clothes are always advisable. Casual clothing can be used only during the daytime! Is a road trip possible to Ladakh? A: Yes! In fact, road trips; whether by motorcycles or personal cars, are the most popular and sought after ways to reach Ladakh. Road trips to this magical destination usually originates from Delhi, Manali, and Jammu & Kashmir. Can visitors hire bikes or cars in Ladakh? How tough is it to hire vehicles? A: Almost the entire of Ladakh Valley is dotted with travel agencies that offers bike or car rental services. Also, till one has a valid Driving License and comes under the jurisdiction to ride or drive in India, he/she can hire a bike or car while on a Ladakh tour. How about the fuel availability in Ladakh? A: While within the limits of the Ladakh Valley, you surely won’t have any fuel issues. However, once you move away from the city-limits, you will find very few petrol pumps or filling stations. For visitors booking Ladakh tour packages, it is always advisable to check with the tour operators or to carry additional fuel while on the trip. Can I find ATMs while enjoying a Ladakh tour? A: While in Leh, you can find an ample of ATMs. The city has around four ATM operated by State Bank of India, Jammu and Kashmir Bank, Axis Bank, and Punjab National Bank. Which mobile networks are available in Ladakh? And what about the electricity consistency in there? A: While in Leh, one can use Airtel, BSNL and Aircel services; however, only post-paid connections works in this region. In case, you are moving away from the city-limits, you can only rely on BSNL for communication. Electricity can be an issue while in Ladakh. Try to keep your gadgets and devices charged or charge them whenever you have access to electricity. 10 Reasons Why You Shouldn’t Visit Ladakh!